Bideford Town stands some 14 miles from Braunton and just 8 miles from Barnstaple. Bideford Town travel along the B3233 is a delightful drive taking you in over the old Long Bridge. A wooden construction in the 13th century with chapels on either end. Rebuilt in the 16th century the 24 arches of different sizes is a subject for many artists today. Bideford Town became the 3rd largest port in the country and ship building boomed. Today you will still see fisherman and pleasure boats along the quay. Bideford is a great place to stroll around with a stunning back drop of North Devon hills, the picturesque quay, the pretty painted houses in rows on the steep streets and the lovely park space. The Pannier Market is also a great place to buy local produce and hand made gifts.and antiques. For a more detailed look at the history of Bideford, there is a museum that stands in Victoria Park and the entrance is free.Victoria Park itself has a lot of history and tells a visual story with the nine canons surrounding the band stand. These are said to be from the Spanish Armada. There is also great facilities around the park to enjoy including an open air paddling pool and skate park. 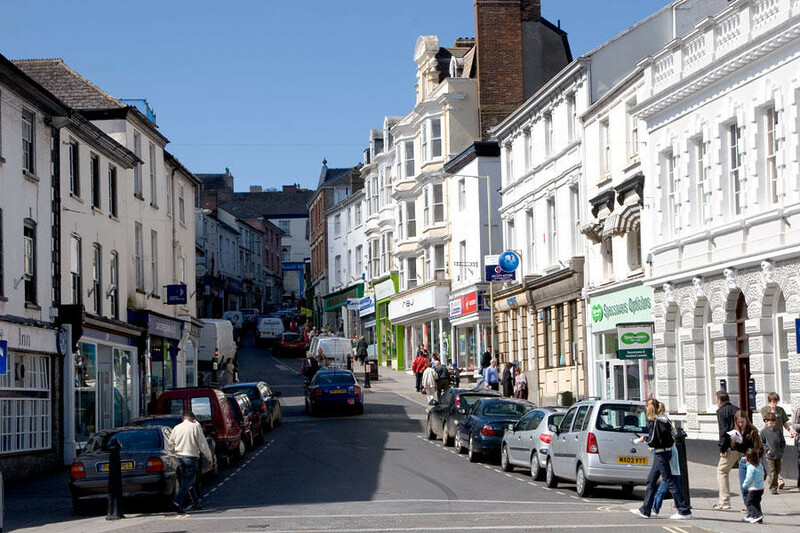 Shopping in Bideford is a stress free affair and offers some unique shops, as well as traditional bakers who sell their breads and cakes throughout North Devon, Then returning to here in Braunton for a relaxing evening . Visit the Burton art Gallery and Museum located in the car park at the end of the Quay to learn the maritime history and view local art and crafts in all medias including some beautiful pottery. You can enquire about the area and plan your day. Entrance is free so why not enjoy a coffee and fresh sandwich in the Cafe Du Parc.